Taylor Nelson drives in for a basket during the Madison College women's basketball team's victory of Milwaukee Area Technical College on Feb. 14, 2015. By winning nine straight games, the Madison College women’s basketball team has returned to the race for N4C conference title. Madison College’s 79-74 overtime victory against Milwaukee Area Technical College on Feb. 14 pulled the WolfPack even with the Stormers for the conference lead. Both teams are now 10-2 in conference play. 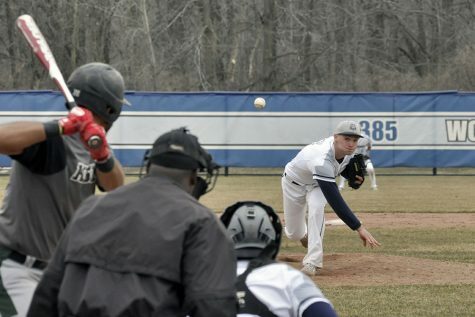 Madison College has two games remaining against teams the WolfPack has already beaten once – Joliet Junior College and Harper College. Seventh-ranked Milwaukee led Madison College by nine points with 13 minutes remaining. But the WolfPack fought back to tie the game with 4 minutes left, and the two teams battled back and forth for the rest of regulation. Strong free-throw shooting in overtime helped Madison College secure the win after jumping out to an early 6-point lead. The WolfPack hit 14 of 16 free throws in the extra period to hold off the stormers. Taylor Nelson led Madison College with 27 points, while Jenna Endres scored 20 points and had 10 rebounds. Kelly Calhoun added 15 points for the WolfPack. 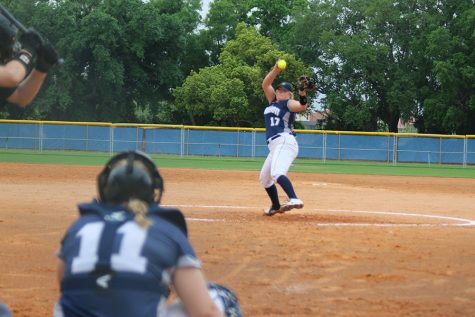 Madison College now stands at 20-5 overall. Madison College outscored Triton College 50-19 in the first half on its way to a dominant 92-30 victory on Feb. 11. Endres led the team with a career-high 31 points, while Megan Petty added 19 points. Sydney Harms scored 14 points and Kaitlyn Kast added 11. A 23-point effort by Taylor Nelson helped the WolfPack avenge an earlier loss by beating third-ranked Rock Valley College, 70-62, on Feb. 7. Rock Valley since dropped to No. 9 in the NJCAA Division 3 poll. 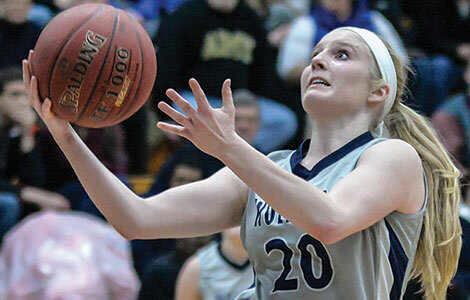 Three-point shooting was the key, as Madison College outscored Rock Valley by 15 points from three-point range. Other players who scored in double digits for the WolfPack were Endres, who scored 12 points, and Harms, who added 11 points. Another strong first half led to another dominant performance by Madison College. 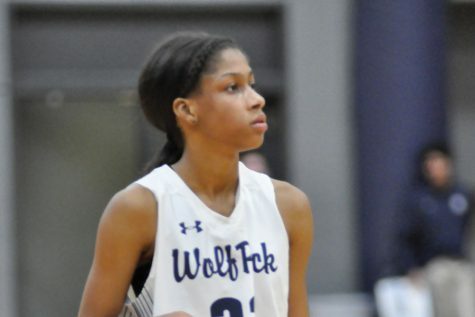 The WolfPack took a 54-17 lead before posting a 89-46 win over the College of DuPage on Feb. 4. Endres scored 25 points to lead Madison College, while Harms netted 18 points.